Contitolare dello studio weber + winterle architetti di Trento, fondato nel 1998. Dal 2011 al 2015 è Presidente dell’Ordine degli Architetti PPC della Provincia di Trento. Dal 2015 Direttore della rivista Turrisbabel, della Fondazione Architettura Alto Adige. Dal 2016 Presidente dell’associazione Architetti Arco Alpino. Keywords: Alpine architecture, architecture prize, contemporary architecture, building culture. Living a place means first of all reading it, understanding it, assimilating it. This is even more evident in the case of a particular natural environment where the possibilities of land use are limited. Looking at a map of the Alps, it becomes clear how the morphology has conditioned the methods of settlement and exploitation of the places. 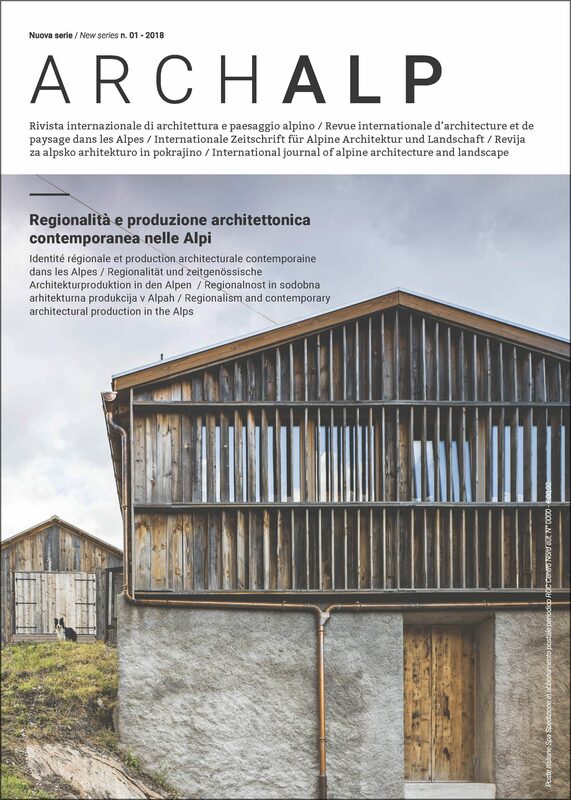 In an attempt to read and interpret the transformation of the Alpine territories, the Architetti Arco Alpino association has initiated a review of projects, from which it emerges that today there exist very different cultural, political, social and economic contexts. The result are two almost opposite phenomena. In some places the mountains have been abandoned, which has led to the risk of losing their important architectural heritage. The interventions are therefore aimed at enhancing the existing structures and constructing new buildings capable of becoming a reference for the redevelopment of entire villages. In other places, a harmonic balance between human presence and territory has been largely exceeded. Here, the objective is to put a stop to further land development, aiming to enhance the quality of the existing buildings and implementing an aesthetic and formal research that is capable of becoming an economic value and an element of cultural identification. Taking into account the various “cultural horizons” and reference regions, it becomes clear that South Tyrol has historically maintained close ties with North Tyrol and the neighbouring Swiss cantons. Contemporary architecture is commonly seen as an asset today, not only among experts, but also among the general population. On the other hand, the relations with Austria’s and Slovenia’s Eastern Alpine territories have less effect. The research seems to be the work of a limited number of professionals. In the Western Alps, cross-border relations with France and Switzerland have a stronger cultural and linguistic root, but perhaps the presence of large massifs difficult to cross has prevented a closer relationship and a dissemination of common construction methods. Crossing national and international administrative boundaries, the Alps can continue to be a place of passage, of confrontation and of cultural, linguistic, economic and also architectural exchange.